Visit the Essentia Health-Duluth Clinic 3rd Street Building for a wide range of specialty care close to home. We also have an onsite pharmacy and urgent care services if you have a minor illness or injury and can’t wait for an appointment. You’ll find both our pharmacy and urgent care on the main floor. Many of our waiting areas overlook beautiful Lake Superior. 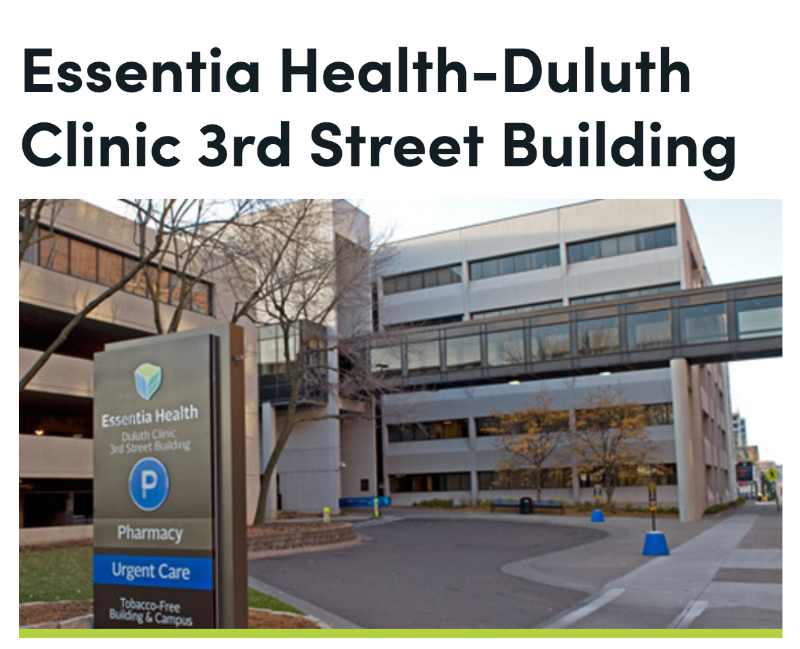 The 3rd Street Building is one of three Duluth Clinic buildings on Essentia Health’s downtown campus. You can reach all our medical buildings on campus by skywalk. The Duluth Clinic is an outpatient department of Essentia Health-Duluth.